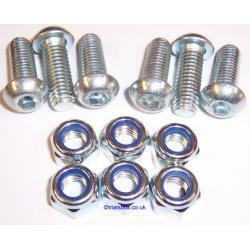 Set of six sprocket retaining nuts and bolts. Fits all Gas Gas, Montesa and Sherco models, and many others which have a flat sprocket, or a sprocket where the recess is flat. The bolts are not suitable for Beta models.